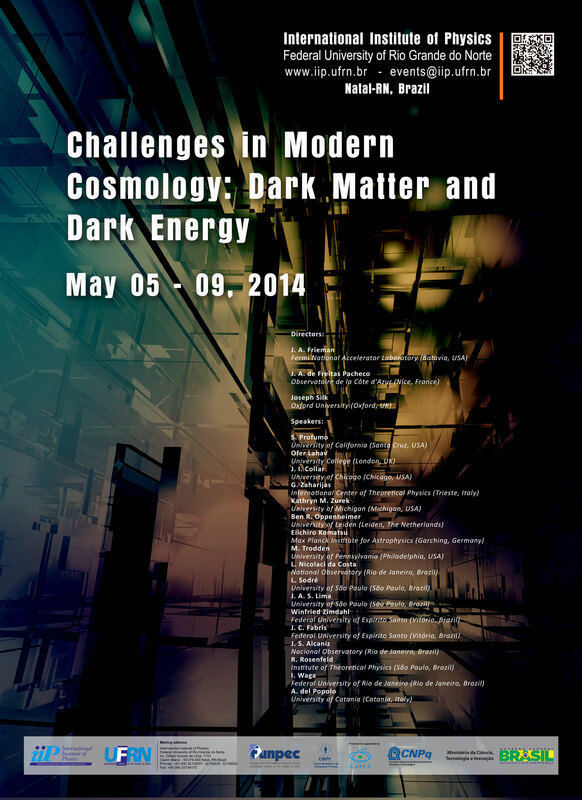 This interdisciplinary Scholl intends to span theoretical astrophysics and particle physics by addressing the need to train cosmology and particle astrophysics communities in the areas of dark matter and dark energy research. The proposed lectures and conferences will be vital for researches who wish to develop programs and collaborations involving expertise in astrophysics and particle physics focusing on fundamental aspects of the nature of the contents of the universe. The lectures will include the study of theoretical predictions and experiments that pursue the quest for signatures of dark matter in our galactic halo, both directly and indirectly. Dark matter and dark energy will be studied by cosmic microwave background temperature fluctuations, by large scale structure constraints that range from gravitational lensing, galaxy clusters, baryon acoustic oscillations and redshift distortions, as well as by distant supernovae. The invited conferences will cover more specific problems related to the dark sector and will describe observational projects in which Brazilian groups are implied. *Payment must be made in cash during the first days of the conference in one of the currencies listed above (US Dollars, Euros or Reais). A receipt will be provided upon payment.